Nike Sportswear will be decking out two of their iconic models, the Air Force 1 in both low and high top renditions, with their “Nautical Redux” Pack for the summer. 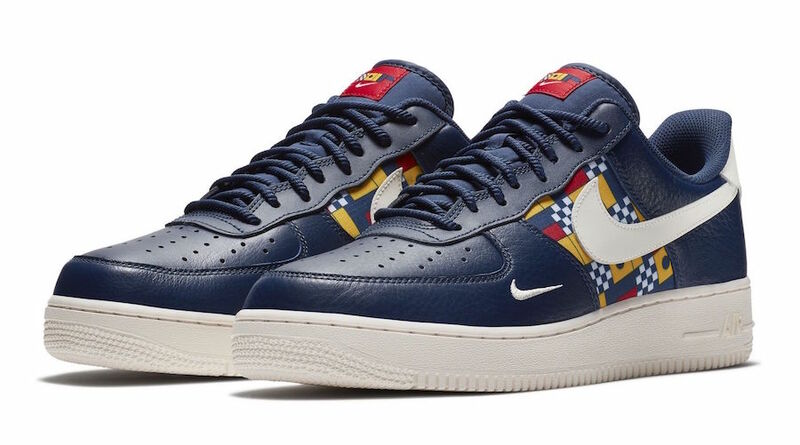 Both Nike Air Force 1 Low and Nike Air Force 1 High features a Navy and Sail leather uppers highlighted with nautical print detailing and mini Nike Swoosh logos on the forefoot. A Sail rubber Air Force 1 sole completes the design. Also included in the pack is the Nike Air More Money in a similar color tone. Look for the Nike Air Force 1 “Nautical Redux” Pack to release in the coming weeks at select Nike Sportswear retailers and Nike.com. The retail price tag is set at $100 USD for the low and $110 USD for the high.